In 1946 Mr. Principe founded the Principe-Danna concrete company in Long Island City, Queens. Four years later he married Virginia Grello (1908-1996) who then came to work for his company. Around that time, Mrs. Principe became very interested in education and the operations and physical condition of St. Stanislaus School, and she began to devote her time and effort to improving the quality of life for residents of Community Board Five. As a founding member of the Maurice Park Civic Association, Mrs. Principe worked hard to beautify this site, and she advocated for the addition of street trees in Maspeth. Perhaps Mrs. Principe’s most difficult challenge was halting the construction of a sewage plant in West Maspeth. In 1999, Commissioner Henry J. Stern renamed this park’s playground in honor of Mrs. Principe. Beginning in the mid-1990s Mr. Principe served as the chairman of Community Board Five, a role that gave him significant power to shape Maurice Park’s $2,338,000 renovation, completed in 1996. At age 91 Mr. Principe continued to improve the park he helped create 60 years earlier. In order to effect a reduction in vandalism, he recommended scheduling league games at the park’s lighted basketball courts till 11:00 p.m.
By the time Mr. Principe passed away, on May 3, 2004, he had earned the appellation “Mr. 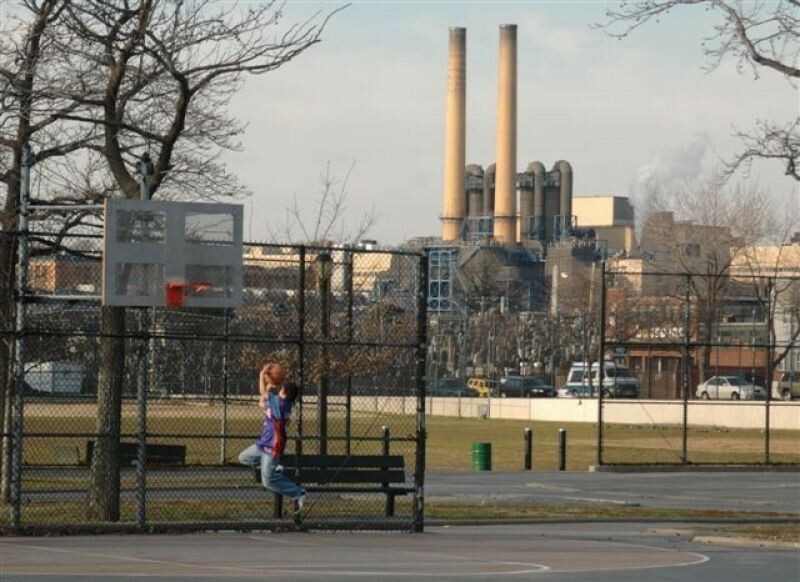 Maspeth.” In response to a request from the community, in 2005 Commissioner Benepe renamed Maurice Park for the man who fought for its creation in the 1930s, and helped usher it into the 21st century. This also marked the first time a husband and wife were separately honored in the same park location.